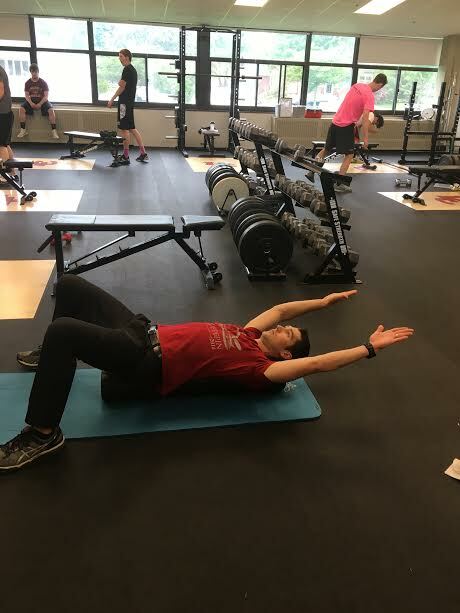 It took me 27 years to realize the importance of rest and recovery, and how it impacts your performance for your next game, race, or day of training. It was until I signed up for IRONMAN WI, 2017 and did extensive training while learning how to fuel my body the right way, when to push hard, and when to back off on workouts is when it all clicked. Like most people, I always thought more was better. If I had a 60 minute run planned it would be better to get 60 minutes and 5 seconds rather than 59 minutes of focused running. 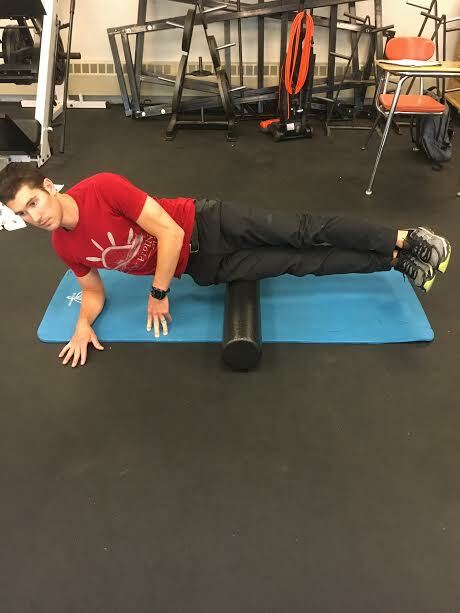 I have had many requests on foam rolling. 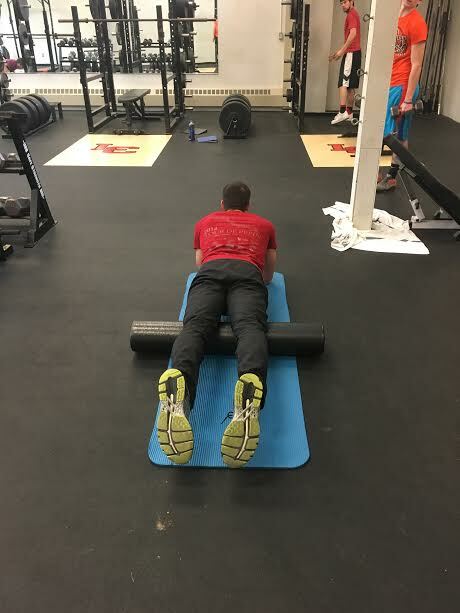 While being a Physical Education teacher, I was fortunate enough to be able to purchase an entire class set of foam rollers, and we make rest and recovery just as important as exercising! 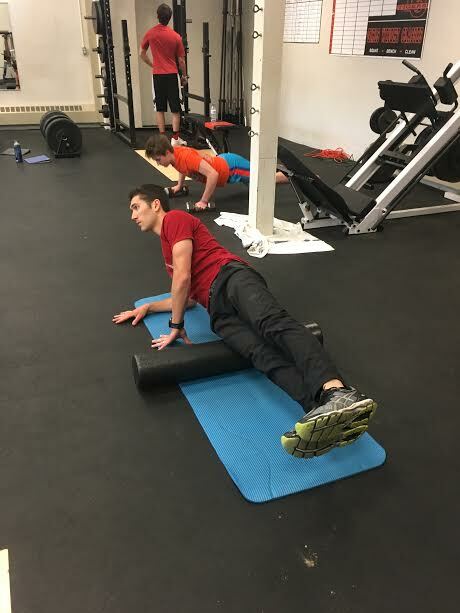 Foam rolling is one of the many great ways to warm up, cool down, and use as a recovery aid to help improve circulation (like a massage). 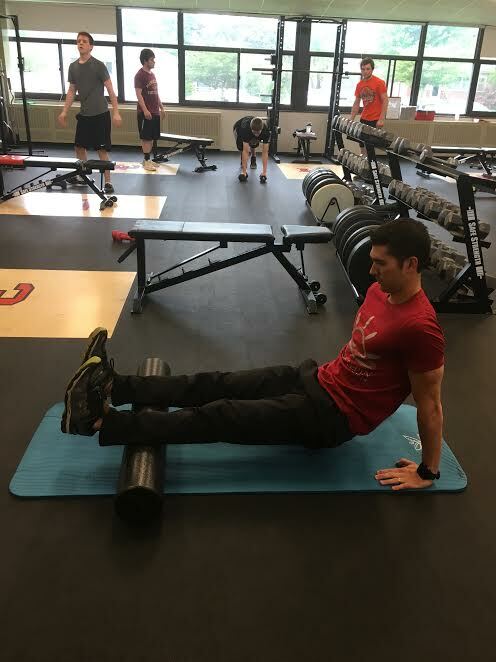 Below are demonstrations of different ways to foam roll. 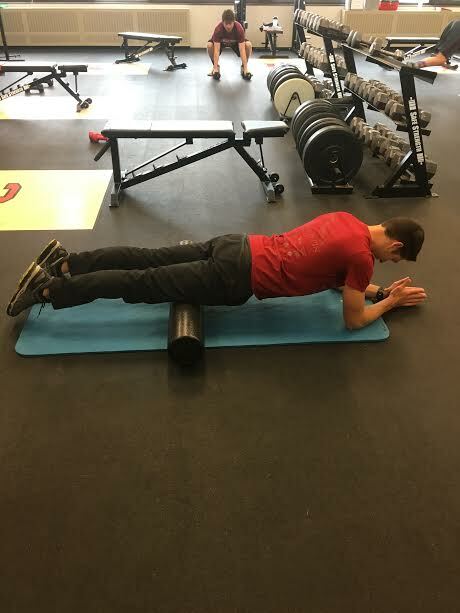 Roll each muscle for 30-60 seconds. 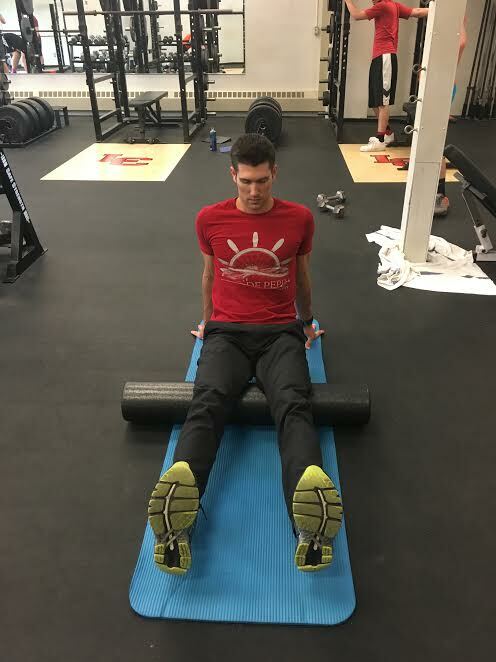 Place the roller under your thighs. Roll from the knees to the buttocks. 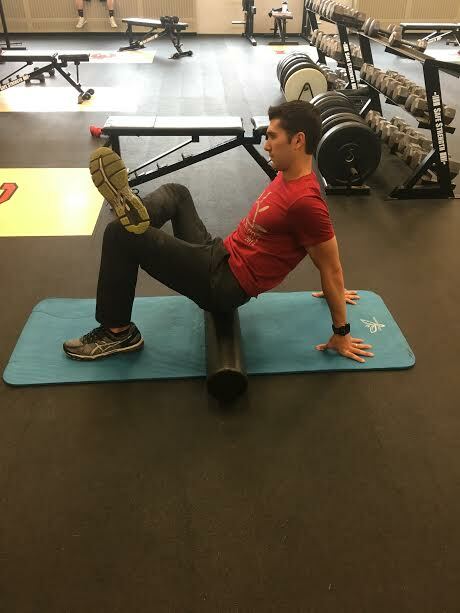 To increase the pressure, roll one leg at time, turning your leg in and out. 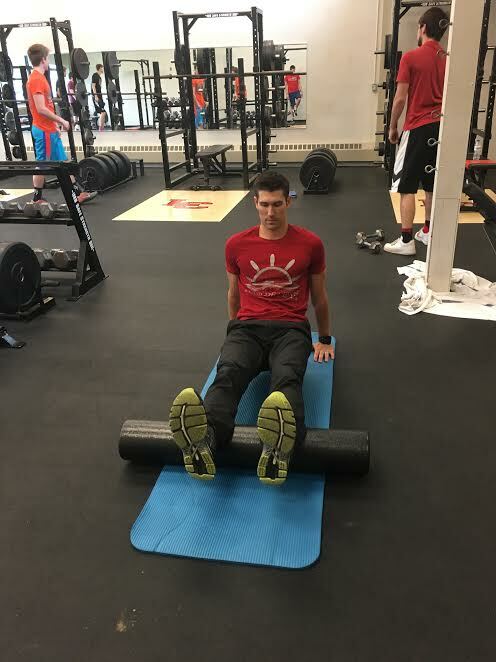 Sit on the roller and place one foot on the opposite knee. Lean into one buttock and roll forward and back, using your supporting leg to control the pressure. 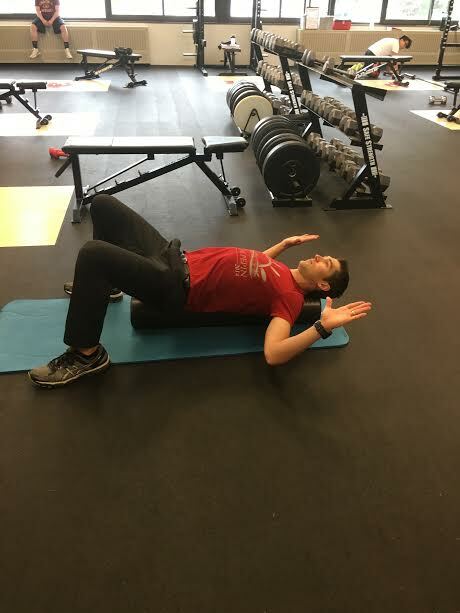 Lie on your stomach with the roller placed under the front of your thigh and slowly roll up and down from the bottom of your hip to the top of your knee. 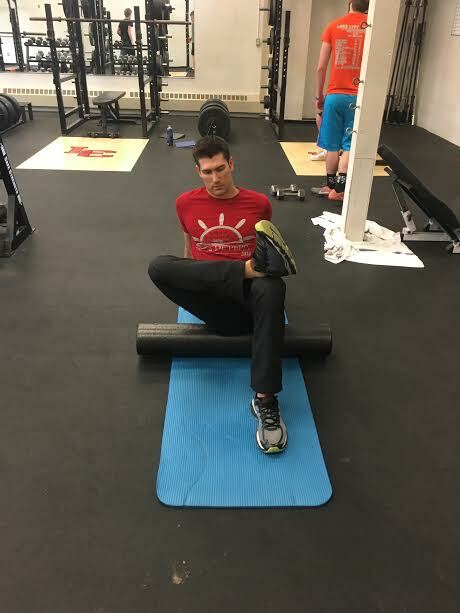 Lie on your side with the roller near your hip, rest your other leg's foot on the floor. Move along your outer thigh. Increase pressure by stacking your legs. 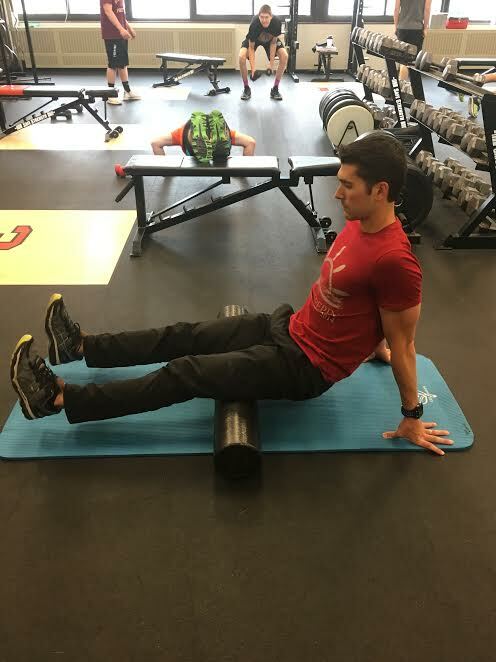 Lay on the foam roller with it on the middle of your back. Bend elbows to 90 degrees and then extend over head. Repeat slowly.